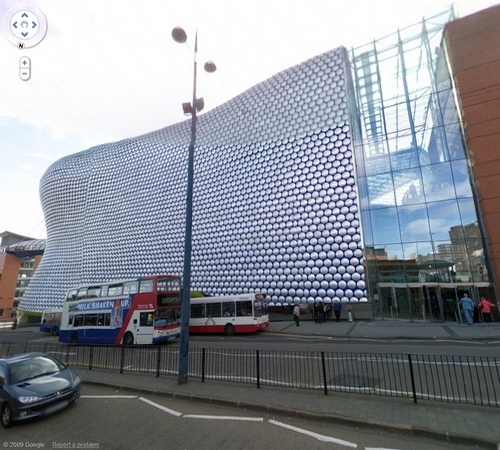 Selfridges is a century old high end department store in UK whose flagship store on Oxford Street is famous all over the World. 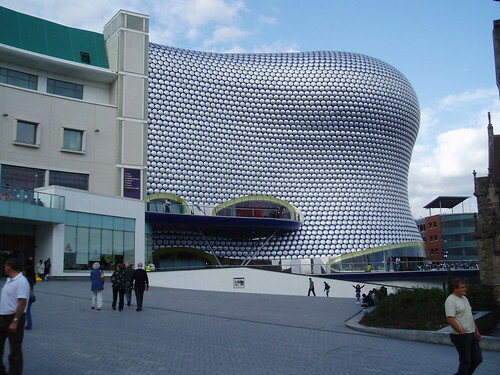 In 2003 it opened in a branch in Bull Ring - a major commercial area of Birmingham. "The skin is made up of thousands of aluminium discs, creating a fine, lustrous grain like the scales of a snake or the sequins of a Paco Rabanne dress. In sunlight it shimmers, reflecting minute changes in weather conditions and taking on the colours, light and shapes of people and things passing by - an animate and breathing form." Floodlighting at night enhances the beauty of the building. 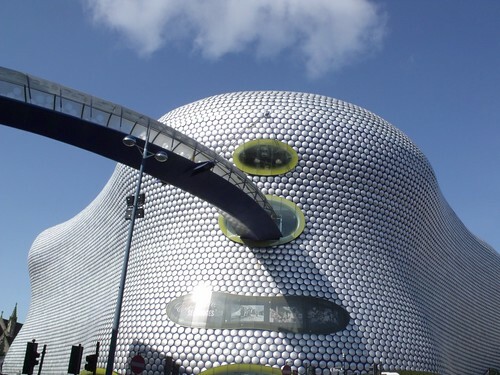 Since its completion it has won eight awards including the Royal Institute of British Architects Award for Architecture 2004 and Destination of the Year Retail Week Awards 2004. 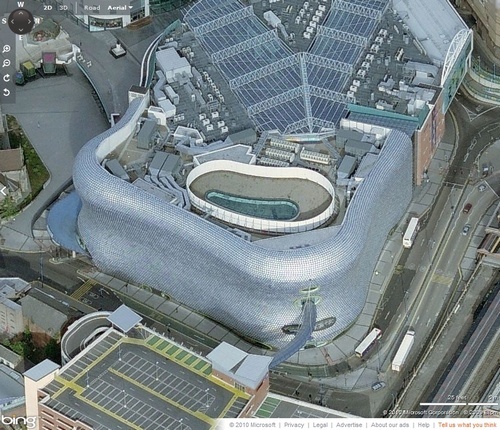 The building is connected to a multi-storey car park across the street through a 37 metre long, curved, polycarbonate-covered suspended footbridge known as the 'Parametric Bridge'.